here is what I would use for a child who had just started to read, - in public schools this is traditionally around grade 1. 1. Reading: Sonlight Curriculum books "I Can Read It!" books This is a good place to start if you think your kids need more practice reading three letter words. It is repetitive and funny for the kids, (read: painful for the parents) and they seem to love it. Once they are through these books, they are ready for the Pathway Readers. 2. Reading: Pathway readers are by far the best next stage for kids that can read three letter words that I have seen. (Imagine stories about kids who do not watch TV or play electronic games!) Just work through the books with the kids at THEIR speed. This means not making them sit there for longer than they can manage. This may also mean in the beginning not doing more than 10 minutes a day - trust your instincts about how far the child WANTS to go. 3. Reading: "Explode the code" books 1,2,3. These match perfectly with the "I Can Read It" books. One or two pages per day is plenty. 4. Reading/Vocabulary/History/Geography: Listening to good books, it is hard to go past the selection that Sonlight Curriculum provides for Grade 1 books for you to read to your child. I only had trouble keeping their attention with "The Child's History of the World". At this age I suggest if it doesn't hold their attention, become a dramatic reader or move on to something else. Geography puzzles are useful (USA and WORLD puzzles). Geography games are fantastic. You don't really need a curriculum for this stuff, just lots of great age appropriate books and games. 5. Math: "Singapore Math" If you started them off with Singapore Math for kindergarden or Montessori Math, then they just slide right on into the grade 1 math books. The pages are still very kid friendly, and word problems are an integral part of the books. If you didn't start them with Singapore Math, get them to take a placement test and if they can manage it, I would start them on this math curriculum. I initially supplemented my math with a lot of Montessori Materials - these materials are amazing for simplifying the explanation of any mathematical concepts. We would play with these materials too. 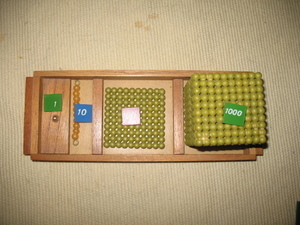 I highly recommend the materials (beads and cards) which help explain the decimal system (counting in 10s). 6. 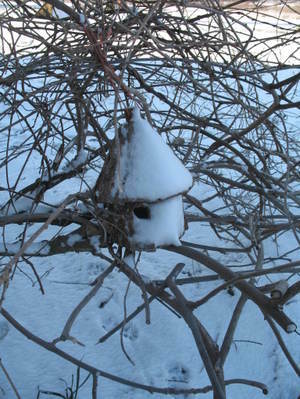 Science: daily nature walks, or weekly visits to zoos, arboretums and parks. Introduce nature journaling if possible (keep it fun), collect fallen leaves and insects. Learn how to press flowers and leaves, and go buy some insect pins and some Styrofoam and learn how to pin insects. Get some great science books and just browse them. Sonlight curriculum has some great picture books for this level and the next. I would buy some of those "Why is the sky blue" type question and answer books, and use it regularly. Explain the use of binoculars, look at the stars and moon with them. Schedule a weekly or daily time for this (great for a "break" activity). 7. Art: Unlimited access to paper, pens, crayons and stickers; frequent supervised fun with paint, glitter, glue etc. ONLY observational comments or reflective statements, eg. "I see you made the moon green!" OR "It looks like you put a lot of work into those clouds!" OR "What do you like the best?". Don't turn them into praise junkies when it comes to art! Pencil work helps strengthen their fingers for handwriting skills - the more the better. CORRECT their pencil holding EARLY, or it will be a lot tougher later. 8. Practical Life Skills - as described by the Montessori Method- includes kid sized broom, mop, bucket, (they LOVE to help at this age, just accept any offers of help - no criticism! ); spooning beans, rice (fine motor control, handwriting skills), etc etc. (See the post below for recommended books on this). This is what worked best for me at that age for the essentials! Try and make sure that school at this age is FUN, relaxing and interesting. Remember you are laying the groundwork for the rest of your communal homeschooling life! We would be interested in hearing other "If I could do it over for my new reader or 1st grader".